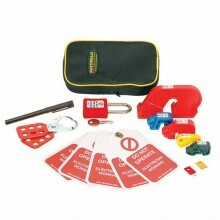 Kit Includes: Kewtech KT1780 Voltage Indicator, Kewprove 3 Proving Unit, Universal Combination Lock Off Device, Rewritable Warning Labels, Carry Case. 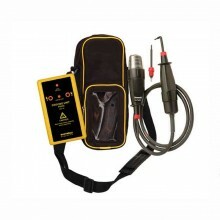 Capable of testing AC & DC Voltage up to 690V, the KT1780 voltage indicator is included in the set. Performing polarity, single pole phase, continuity and self diagnostic test to ensure accurate operation, the KT1780 meets IEC 61243-3 and IEC 61010-1 standards and measurement category CAT IV 600V. 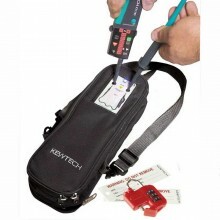 As well as the popular KT1780 tester, the KEWISO2 kit also features a proving unit and a universal combination lock off device with rewritable warning labels. 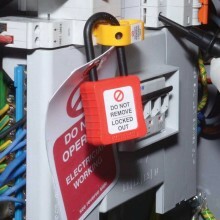 The kit comes packaged in a rugged case with a pouch to hold the proving unit, making it accessible at all times and the lock off device works with all toggle type MCBs and Main Switches saving on complicated lock off kits. The ultimate solution for safe isolation procedures. 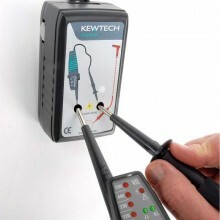 UK specific KT1780 two pole tester. Permanently GS38 with no covers to lose. Kewprove 3 proving unit with a transparent window – so available for hassle free use at any time. 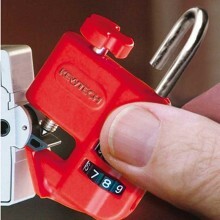 Kewlok – universal lock off device with selectable combination. 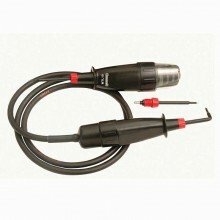 KT1780 - The ultimate voltage detector. Clear oversize luminous LEDs shine through voltage level. UK Specific GS38 Slender probe tips NO NEED to swap ends. Bright torch light - gives ample illumination. Fits into recessed terminals such as RCBOs without unscrewing any caps. Phase Rotation - Bright green LEDs show left or right rotation. Clear Oversize luminous LED indication. Soft to touch overmoulded rubber body. High output will drive even the most high current voltage detector. Instant ramp up and then step down will prove several voltage levels. One size fits most MCBs and toggle type main switches. 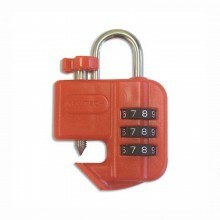 User selectable integral combination padlock for memorable combination numbers. 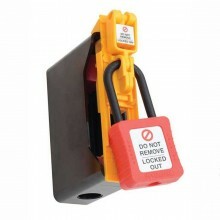 No need for separate lock and no keys required. Saves having multi piece lock out kits. 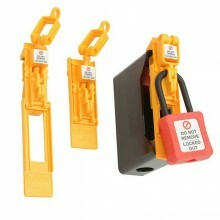 Comes with two warning labels that can be secured to the shackle and give user information. Durable carry bag with a shoulder strap and transparent window for the proving unit. Space to carry extra tools. PDF Specifications of the Kewtech KEWISO2 Safe Isolation Kit.